At SaaStr Annual earlier this year, we had a session with Hubspot Founder & CTO, Dharmesh Shah, and their Chief People Officer, Katie Burke, on building happier employees. They talk about the culture code that was created in HubSpot’s early days and how they have continued to have strong retention rates and overall happiness in their employees. Jason Lemkin: I’m going to shut up in the beginning and let Dharmesh and Katie talk about culture and diversity and other things, but just for fun, who here is a HubSpot customer or user? Raise your hand, just for a little bit of fun. Dharmesh Shah: Wow. Thank you. Jason Lemkin: All right, pretty good. Pretty good. And so I want to thank them for coming here. Two years ago, if you were here, Dharmesh was one of the most popular speakers, and shared a lot about their journey. And I know HubSpot’s a very iconic company, and we’ll learn about the presentation, it changed in flight several times, but I want to hear from Dharmesh and Katie how they focus on culture for real. Then we’ll spend a few minutes digging on the learnings about how we can all do better. But thanks for joining us, this is great. Jason Lemkin: Yeah, let’s give it up one more time. Dharmesh Shah: Great. Hello everyone. So the slides did change, they were fresh baked at three thirty this morning, and then once again at eleven a.m., and once again at noon. By the way, in terms of the voice of God, this is SaaStr. You are the voice of God, Jason, as far as we’re concerned. Jason Lemkin: Thank you very much, very good. 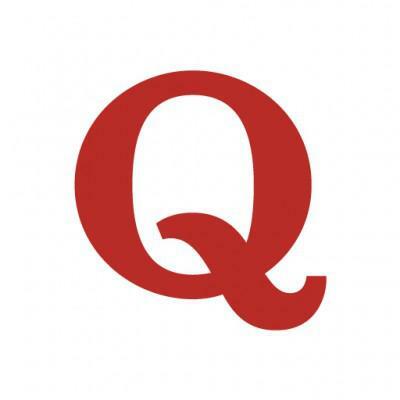 Dharmesh Shah: So, a quick confession before I start, which is like I love SaaS, I love it. Ever since I was a little boy on the dusty streets of India, I’m like, “Someday, there will be an industry where we can ship software, without actually shipping software, and all customers will be on a single version. It will be awesome.” So, this is great. You folks are my peeps. I’ve been in the software industry for a long, long time. This is the best time I’ve ever experienced. Dharmesh Shah: So, when I was asked to speak this year, I’ve been emotionally here for ever SaaStr, I’m glad to be back here physically. I was wondering what should we talk about? We could talk about CAK and LTV, and economics, and fundraising, and entrepreneurship, and SaaS and engineering, and product management, but instead I chose to talk about culture and people, which is a little bit of an odd topic for a CTO to pick up. Dharmesh Shah: So, I asked myself, “Okay well, who can best dig into this? Who actually knows stuff and does things?” And so, this is Katie, and she’s a people person. Actually, she’s the people person, she’s Chief People Officer at HubSpot. Here’s evidence that Katie is a people person. This is her, in her near ideal state, around about 25 people, and genuinely looking happy. It’s not about 25, it’s exactly 25 people, I counted. I’m obsessed that way. And so, she’s a people person. Dharmesh Shah: Of course, this is me. I am whatever the opposite of that is. I am not a people person, and this is my near ideal state, which is … like I could cut out that I can greet people that I don’t know, and I’d end up in the hotel room cranking on Python code. And so, it’s a little bit odd, just about all of you don’t know this history. So, I’m Chief Technology Officer, and years ago I was volunteered by my co-founder to work on culture. I’m not going to tell you the long story of how that came to be, but there were multiple bottles of wine involved. Dharmesh Shah: As part of that exercise, I did some data collection, and we created this deck called the HubSpot Culture Code, which has exactly 128 slides. It’s always had 128 slides, for a long, long time, actually, which people said like, “No one will ever read a deck that has 128 slides.” And I said, “Well, yeah, Netflix, right?” It’s like 125 slides, for those that are curious. By the way, if you have time to read exactly 120+ slide deck, read the Netflix Culture Code deck, if you haven’t already. If you have time to read two slide decks, with 125+ slides, on people and culture, read Netflix twice. It’s that good, and if you’re still bored and obsessed, you can check out ours as well. Dharmesh Shah: The way I think about it, in the Trump Culture Code, people think of it as a code of conduct kind of thing, and that’s the automatic assumption, but I’m my mind at the time, the deck was being crafted, I thought of it as actual code. So, it was an engineering perspective, it was like, “Okay, if I were to write an algorithm or an operating system to pick people, or to figure out how to make decisions, what would that look like essentially?” That was the original kind of genesis of it. Dharmesh Shah: So, this is the only slide I’m going to show you from the deck itself, and this was one of the revelations. I’m going to try and talk you folks in, you don’t have to create a 120 slide deck, but actually putting your culture out there has been immensely valuable for us. The reason is, a, you have a great culture, but by the act of publicizing it, we got a bunch of positive self-selection. People read the deck and either they said, “Oh, there’s no way I could work at that kind of company.” Awesome, or they said, “Oh, that’s the kind of company I want to work for.” And there’s lots of value in not only having well-defined culture, and articulated culture, but actually publicizing it. This was a big lesson learned. Dharmesh Shah: From an engineering perspective, as I think about culture, this is probably the most important insight I’ve had personally, and I’m biased because I’m a product guy, but I think we should think about culture as a product, and the team, the people, the employees, as the customers of that product. And so all the things that apply in building a product, you would never build a product without talking to customers. Unheard of. You would never try to craft a culture without getting the team’s input. Product is never done, culture is never done. Dharmesh Shah: So, we don’t say, “Oh, we shipped the product, we’re done here. We’re not going to iterate on it ever again.” One of the biggest mistakes people make is like, “Oh, we want to preserve our culture,” as if it’s a static thing, “and we want it to not look any different two years from now, five years from now, ten years from now,” and I think that’s wrong. It should iterate on the same way. Dharmesh Shah: So, things have gone reasonably well, and it feels like a little bit like, “Everything is awesome, things are going well.” We’re up to about 2,000 people, plus or minus whatever the percentage is that keeps me out of trouble with our investor relations people, but somewhere in that neighborhood. So, the question then is, “Okay, well fine, you guys have put a deck out there, you’ve put some philosophies out there, but how do you know if its actually working?” And as it turns out, that’s a really good question. How do you measure it? And I don’t have a really good answer, so I’m going to hand it off to Katie. Katie Burke: I’m not quite sure where to stand, this is a bit like a trippy night talk show sort of thing, but as Dharmesh mentioned, I am our people person, and while I am indeed extroverted, I am not a career HR professional. So, let me just share with you what a rogue former marketer as done with a culture and people ops team, and how we approach culture, and how we measure it at HubSpot. Katie Burke: So, at most companies, right? It’s a much smaller group. At most companies, employee feedback surveys are where feedback goes to die. It’s where data goes to die. It’s a complete black hole, and so, even if you take careful time to submit a ton of feedback on what’s working at your company, and what isn’t, you’ll never see it again. Katie Burke: So, what we do at HubSpot is the exact opposite. We do an anonymous quarterly survey of all our employees. We never assume that our culture is working, we always assume that we can do better. So, we feel that every single quarter, anonymously, globally, and we get huge participation, we get a whole lot of feedback, and then the hard work begins, which is we share every single data point, every open ended response, every piece of feedback that people say, “Dharmesh did a terrible job.” “I hated Katie at that company meeting, it was awful.” “Our benefits are terrible.” That all goes to our entire company on the Wiki, so you can download that file, you can read it yourself, you can look through it, you can actually raise on our company Wiki a disagreement about it. You can raise concerns or questions, you can ask us. Katie Burke: So, this is the one slide, I’m not going to lie, that’s a little bit of a humble rag in the slides, we do not have the same budget as Facebook or Google. We admire their cultures greatly, but we cannot outspend Facebook or Google. We are a Boston B2B marketing software company, we are super excited and passionate about this, but we cannot outspend Facebook or Google. Katie Burke: So, what we do instead is we out-care and we out-execute. We add human touches to as many things as possible, and then we innovate and listen to our employees, at scale, and the results, I think, speak for themselves. Some people think of Glassdoor as a vanity metric, Glassdoor has actually done a great amount of work showing that the economic returns of folks with high Glassdoor ratings are actually higher than those with lower. So, for those of you thinking, “Hey, I’m going wait on the ROI of our culture, or I’m going to wait to invest in our employee experience,” wait no longer. Companies that have great, happy, productive employees do better by every single return. Katie Burke: So, the inevitable question, maybe one of the reasons you’re all here, is you’re sort of thinking, “Well, I’m exploring product market fit. I’m still thinking about raising my next round, so I’m going to think about this later.” Did this occur to anyone, at some point, coming in here, today? Sure, thank you for your bravery. I was like, “Yeah, I was definitely thinking about emailing someone and saying, “Let’s put in on the roadmap for next year.”” I would humbly posit to all of you that you consider doing something now, and my now I mean literally when you leave this room, to make the culture at your company better, more inclusive, more productive, and more employer candid eccentric. Katie Burke: So, we’ll talk a little bit more about how that can happen. If you’re not convinced, which I understand why, we just met, after all, allow me to tell you what could happen if you don’t. So, at HubSpot, we are allergic to micro-management. I don’t know about you, but I did not get into Tech to have someone leaning over my shoulder, telling me what to do, what to click, when to do something, and exactly how to do it. Katie Burke: So, one of our core values at HubSpot is autonomy. We hire remarkable people, and we give them a lot of freedom for how they’re going to get their work done. So, we’ve always known that as a company, but until we clarified it with our Culture Code deck, we didn’t give managers the opportunity to say, “Hey, actually …” and call each other out, and really make decisions based on our vision and values. So, if you always think, “Hey, we’ll never become the company with TPS reports. We’ll never become the company with someone hanging over your shoulder,” invest the time to tell people why your vision is the opposite, and invest the time to create values that actually inform people’s decisions. Katie Burke: If your values are just posters on the wall, they’re not real values. They need to inform behavior of your company, and they need to inform who you hire, fire, promote, grow, and celebrate your organization, daily. Katie Burke: Now, Dharmesh and I are here on a bit of a victory lap. We already shared our humble brag with you, part of being humble is sharing what we haven’t done well. So, I’ll be the first to say, as it relates to diversity and inclusion like so many companies in Tech, we should have started sooner. And the reality is it started with very innocent beginnings. Brian and Dharmesh started the company out of MIT Sloan, so who did they hire? A bunch of people from MIT Sloan, who happened to be mostly male, who happened to have similar degrees, and who happened to have similar perspectives. Katie Burke: Now, what happens when you hire a bunch of entirely like men to build a product that’s targeted mostly towards women? Doritos chips that don’t make a sound … Right? So, in order to sell effectively, to marketers, and our target market is marketing Mary, we needed to diversify our team, and we’ve only, in earnest, started in the last two years to really make an impact there. We have some wins under our belt, but we still have long way to go. Katie Burke: So, I would encourage all of you to start now, thinking about the fact that homogeneity will be as viral at your company as any blog post you ever write. It will absolutely go viral, it will be easy for people to refer people who are just like them. So, if you’re thinking about DNI in the same way as culture, as something you can wait on, I highly encourage you to challenge your own thinking. And again, I would encourage you to do one thing that will make your culture more diverse or inclusive, when you leave here. Katie Burke: So, how do you actually do that, and how do you prioritize DNI, even in a small organization? So, everyone knows the airplane test? You ask someone, “Hey, what kind of music do you listen to? Would you like to actually sit next to someone on a plane for a while?” Truth be told, I really liked Dharmesh, I would not like to sit next to him on an airplane. He likes to have his headphones on, he’s still working on his slides, he doesn’t want to talk to anyone. I like to be talking, I like to be learning, I like to be asking questions, all that kind of stuff. So, it actually doesn’t matter that we wouldn’t be great airplane seat mates, because we challenge each other, we encourage each other, and honestly, we speak up, even when it’s hard. Katie Burke: What do you think we should change? What should we challenge? What do you think is not working? Based on what you’ve seen on GlassDoor, what could we do better? Ask questions of people that encourage them to challenge the status quo right up front. Long before they show up at your doorstep. Doing so gives them permission to make your company better, not just fit your culture. So when we think about hires for HubSpot, we want people who don’t just fit our culture, they actually further it. So they make our organization better just by being there. Katie Burke: Our newest class of leaders who started in January are already asking questions about hwy we do things the way we do, and how we can do them better. That’s success to me, not just saying oh my gosh you guys are perfect, this is amazing. So, how many people have thought about, or asked the question, what perks should we offer next, what perks should we add to our arsenal? What perks are the best perks? It is the most common question I get from CEOs, always. What perks should I add? I have no idea what perk you should add, because I know nothing about your company and I know nothing about your employees value about that position. Katie Burke: But what I will say is that the best perk regardless of where you work is meaningful work. And the second best perk regardless of where you work, is having really quality, smart peers. So if you’re doing really great, mission driven work, but you don’t respect the people you work around, it’s not gonna be that fun. And vise versa, if you work with a lot of fun people but aren’t doing meaningful work that challenges you, it’s not gonna work out. So, you need to have that powerful combination, everything else is icing on the cake. Katie Burke: And then finally, all executives think they have great ideas as it relates to culture and HR. Yeah. The reality is, we don’t. And so one of the most important things you can do is when your employees tell you what you think you can do better, and have ideas on how to make your culture better, to actually listen and take their feedback. I’ll give you an example. A few of our employees at HubSpot came forward and they said they wanted to do a moth storytelling event, where people would get up and share really personal details of their lives with the entire company. Now, you can imagine when I was in marketing I was like yes, this is awesome. When I was in HR I was like I can get sued for this, and this si going to be terrible. Katie Burke: And instead I said, you know what, this sounds totally reasonable, let’s celebrate empathy, let’s celebrate vulnerability and give people the microphone. And we had employees step up to the microphone and share brave stories unlike I’ve ever heard before. If the idea is for how we make our culture great at HubSpot came entirely from our C-Suite, we would fail, so I actively encourage you to hand things to your employees for their ideas. Katie Burke: So, and while I’m not sure how things will work out, I’ll hand things over to a C-Suite executive for more ideas on how things can get better. Dharmesh Shah: Yeah, I was a little bit offended when I saw this slide. You know, I’ve had some, I’m gonna, as evidence, provide what I think is the key to future, kinda cultural success at pretty much most companies, especially the ones in this room. And that’s of course, an ICO. And of course an inclusive culture offering. I bet you money if I had waited just 30 seconds more, like 20 percent of you would be tweeting your peers and emailing people. And I was like see Dharmesh I said we need to do an ICO I knew it all along. And the other 50 percent were like that Dharmesh is an idiot. Anyway, I’m just trolling you guys, that has nothing to do with anything. Dharmesh Shah: So the other questions around who should work on culture, and I have a bias here since I got volunteered for it. But to some people the answer is essentially everyone, right? It’s not just one person’s job in order to, in terms of the culture. And our reactions sometimes it’s like I’m a programmer not a people person, why culture? Or, my favorite, I’m new, this is my first time. If this is your first time working on culture, and by the way, if you’re in this room you’re working on culture, it’s official, I’m sorry to break it to you. If it’s your first time you fight. Welcome to culture club. Dharmesh Shah: The first rule of culture club, you do talk about culture. Second rule of culture club, you talk about culture incessantly. You can’t stop talking about culture, it’s going to be painful. It’s going to be painful. If your team yells it’s like stop, we get it already, we get it Dharmesh, we get it. The fight is not over. The fight is never over, you have to keep going. So keep calm, culture on. Alright. Jason Lemkin: Pretty good. I got a lot of questions I wanna ask. Let me ask because, Katie a couple things you said. Let me ask kind of a tactical question on this. You talked about maybe two different things we’ll get into. But you talked about leaning in late to diversity inclusion. Looking back on it, if capital wasn’t an issue, how early should you hire a chief people officer? And then the second question which you brought up, which I think is a tough one, which is if you hire someone that doesn’t have an HR background or comes out of a recruiting or other background, and they don’t have a background in diversity inclusion, how should you approach that as a CO and think about that? Because not everyone has a background in these issues, right? Katie Burke: Yeah, absolutely, great questions. So to address your second question first. Truthfully, both folks who have a lot of practice in this space and a huge background nature on diversity inclusion, very few people are doing it well. And so I would say rather than thinking of all the reasons why not to get started, be intentional about doing something. As far as what to actually do, rather than make assumptions, ask people who have done it before, and ask your employees who care about the issue, and start there. I personally think that’s better than going to scholarly, academic journals, that sort of thing. I think that’s helpful. Katie Burke: To your question of when to hire a chief people officer. SO, we actually have a story, Wiki posted HubSpot that actually made a declaration that we would never, ever, ever in the history of the company have a chief people officer. Jason Lemkin: When was this written? Katie Burke: 2009, I believe. Jason Lemkin: 2009. And how many employees roughened up back then, you think? Katie Burke: Yeah, it was like 110. Katie Burke: So there was actually not just a bias towards not hiring one, there was also a declaration internally that we wouldn’t have one. Jason Lemkin: That we shouldn’t need a chief people officer? Dharmesh Shah: If we’re doing something wrong, if something went wrong. Jason Lemkin: That’s what the Fortune 50 has to do because they have that functional culture right? Katie Burke: It felt like the start of the TPS reports to a lot of people. And I sort of understand that. The reality is, our employee experience is one of the most valuable products we offer. Along with our marketing software, along with our sales software. It is the way in which we will win. It is the single biggest ingredient in our success as a company, and how we will ether succeed or fail. And I believe strongly that our people are our greatest asset. And so I personally think companies should do it sooner. I think that more companies should not make that declaration, instead should go the other way. But I also think that people need to be open, I’m not just saying this because I’m biased, to non-career HR professionals, because the reality is most HR have been conditioned to settle for compliance versus growth.And if you’re in this room, chances are you care massively about growth, so you need someone creative, innovative and thoughtful enough to help you get there. Jason Lemkin: It’s a tough hire, isn’t it? It’s really tough. Katie Burke: I mean it’s really hard, and the reality is it needs to be someone that your leadership team respects, listens to, and responds to. And if it’s just gonna, if the nagging is the voice of your HR team, they will fundamentally fail. And so it’s an absolutely critical paramount hire that I think people should be thoughtful about. I also don’t think you should hire someone just to check a box. I think you should find the right person, who’s gonna make your company better, and actually help your leadership team be better too. Jason Lemkin: So is 100 late with hindsight, when you look back at that blog post? Dharmesh Shah: Yeah, I think it was late. jason Lemkin: I think 50 is the new, the new number for me. If you don’t have this help at 50, your digging yourself so deep. It’s tough to dig out after 50. Dharmesh Shah: Yeah, as an industry we talk about technology debt a lot, right? It came up in an earlier conversation. Dharmesh Shah: And we understand that, and that was a kind of analog to financial debt, which we understood even better, but there is such a thing as people debt, right? It’s like okay, well I’m taking the shortcut right now and I’m going to hire all engineers or all designers, or all product people and no one in, kinda, people or the other kinda related disciplines. And I think the people debt has a higher interest rate, than technology debt or financial debt. It’s unknown, right? So if you make those mistakes, or those missteps, it’s hard to change. Sometimes if you make a big mistake and do something toxic to your culture, kinda rooting that toxicity out is near impossible sometimes, right? Jason Lemkin: So, I wanna go back to some of the stuff you said on diversity inclusion. But first, I just wanna talk about employee retention for a minute. I don’t know if you share any metrics what is in HubSpot, particularly, most of us are not from the Bay area here, we’ve flown in. But employee churn in the Bay area is epic. Even at the hottest of companies, the typical tenure might be 18 months. As a KPI from this, do you try to drive down employee churn? How do you measure it? And do you try to increase it each year? Maintain it? And what have you learned from that? Because turnover is death, isn’t it? If it’s not death, it’s painful. Jason Lemkin: Sorry, wrong term. Death under 20, it can be near death. At 2000, it’s a fact of life, right? Katie Burke: I like that you’re pushing us on it, I think it’s the right push. Because I think the generation before us, you built your career at IBM, you stayed for a lifetime, you built your career at one company. Those days are over, and so I think as a result, the way companies think about retention needs to change too. So, for example, at HubSpot, very early on we celebrated our alumni. We have actively promoted alumni that come out of HubSpot, I can see our app queue’s team, we have folks who are HubSpot alumni. Jason Lemkin: You try to bring them back? Katie Burke: No! We celebrate their success. So one of our value propositions at HubSpot is that you will become a better entrepreneur by joining our team. You cannot say we’re going to do that, and then when people go to leave go like no, no, no, we’ll just throw money at you, you can’t possibly leave. We are exceptionally proud of the fact that we are helping people grow, and I hope that that’s with us for as long as possible. But if they leave, I want them to make us incredibly proud. And to make us proud in the entrepreneurial community and not just in Boston but globally, and so what we try and do is find a good balance between we don’t want to be silly with the cost to acquire an employee, right? Katie Burke: It’s the same thing with any metric, we don’t wanna be wasting money on hiring and onboarding people who will only stay 6 months. With that said, you have to create a delicate balance on retention. You don’t want toxic people staying, you don’t want people who are no longer a good fit for the company. And the challenging part with skill is you will get people who really liked being at your company at 10 people, who no longer like it at 200. One of the biggest mistakes a company can make is holding on to those people and going we just have to find a place for this person. It is not good for those people to stick around if they don’t love the company and your mission any longer, and it’s not good for the company to keep people around who are no longer happy or productive. Jason Lemkin: Let’s chat about that for a minute. Toxic employees are a mistake we all keep making again and again, don’t we, our entire careers? Especially, a critical employee, critical engineer, or someone we have a lot of loyalty to, because they did so much. We know in our guts, but form a process perspective, how do we put that in practice with our teams? How do we know, can we measure this toxicity? How do we optimize the action that we take on it? Katie Burke: Part of what you have to define is what toxicity means to your organization, right? So for us, it’s really focused on culture. SO we define what our culture is, and then we can actually talk to someone about the degree to which they’re falling short, or exceeding those values. Part of the benefit of the anonymous employee survey, is you hear very quickly from people’s peers who those toxic folks are. And so, I already mentioned we share all the data that’s received, including things about our management team. So if there are things about me or Dharmesh in there, they’re shared with the whole company. Anyone on the management team signs up for that. Katie Burke: But if we receive anonymous feedback about one employee who is a frontline employer or frontline manager, we go directly to that employee, and we say we just want you to know, there were five comments in this round on the EMPS just about your behavior. We go to their manager and we have a conversation, and we’re like okay, sometimes, that’s people reacting to change. Sometimes, people don’t like being challenged. SO some of those people can be our best employees. And it’s my job to have that conversation and go okay, is this person just pushing the status quo? If so, let’s help them do that in a way that feels more relevant, and kind, and contextual to the people they’re working with. If that person is truly toxic, we need to help provide the coaching to their manager to help them leave, or to help them better succeed here. But the data helps us do that more effectively. Jason Lemkin: This is such an important thing for us as managers. Can you find a pre-toxic employee and mend them? Can you fix that? If you get the five complaints on the EMPS, five is statistically significant in my mind, right? Can you fix that and educate them? Or, especially with the HubSpot resources, or is it too late? Where is that repairable, mendable line? Katie Burke: It completely depends. So, crimes of passion for example, mix in exuberance, are very common in tech. If someone’s too excited, too focused on their goal, too focused on their next release, too singularly focused and they’re not helping their peers. That’s often fixable, you help people with a little bit of perspective. If it’s blatant disregard, if it’s harassment, if it’s a pattern of behavior against a particular group or individual, that behavior is incredibly hard to fix. And I’m sick and tired of companies making excuses for not fixing and addressing it. It’s unacceptable, those people have to go. Jason Lemkin: Can I ask a related question? I know it’s a tough one, but to help. In 2018, when you hear this feedback, and I’ve gotten more focused. I don’t think you can do this in a public company. My view is one sexist, one inappropriate, one insensitive comment, it’s it. When someone makes one comment, even if it’s innocent, there’s another 20 behind it. I don’t know if a 2000 person public company you can take that position, but what have you learned when you hear these types, especially in 2018, when you hear these comments? What do we do as managers and COs? Katie Burke: So I do worry a little bit about that extremism. Jason Lemkin: I know, that’s why I want you to educate me, because I’ve gotten more extreme on it. I’ve gotten less tolerant on being intolerant, because I see it tough to walk these things back, right? Jason Lemkin: I see it tough to walk these things back, right? Katie Burke: Absolutely. So I think we need to draw a hard line between making a comment or an action that harasses someone categorically unhelpful. Katie Burke: Each one of us at some point, no one’s gonna cop to it now in this environment, but each one of us at some point has said something that they regret or that we could have said better. Jason Lemkin: Yes. What do you do when you hear a comment like that? Katie Burke: That’s a learning opportunity, we all need to get better at learning moments and helping each other through them because I will be the first to say that I have said things that I had inadvertently had no idea caused someone hurt or harm. I hope someone would come to me and say, “Hey Katie, I think you could’ve said that better.” I don’t thing that there is room for excuses and intolerance around patterns of behavior that are harassing or discriminatory, I think those two things are different. Jason Lemkin: Yeah. So for coaching moment on the first case, the guys that get these inappropriate but mistaken comments, what I’ve learned, my view, I don’t have your expertise is, that my role is immediately have a one on one with them. As soon as, but 100% of the time, and I think for a lot of COs here, I think you’re in a 30, 50-person company, 100 like the memo, you’re not always sure if at that moment in time, 100% of the time, you should bring them aside. Is that the rule? Should you do it 100% of the time in all situations? Is that the best course of action? Katie Burke: I think in general if you’re gonna give people hard, coaching feedback about something they said, one-on-one is best, but I also think too many of these conversations are happening behind closed doors. Katie Burke: And I was like, you know what, you’re right, it’s not acceptable. And so I wrote a medium post saying, “Hey, here’s how I think about this, here’s why it’s not okay, and here’s the message it sends to young women everywhere if I don’t say anything.” So I think there’s a balance between one-on-one corrective coaching, but I also think we all need to get more comfortable talking in public about how we get better there, and frankly not just doing that within the company but outside the company as well. Jason Lemkin: Got it. And so let me ask you, you said you were, like many of us, late to go into D&I, tell me, now I’m not an expert, but my limited learning is, sometimes the simplest thing is to expand your box one level, to recruit one extra layer, one different group. You want to do it all, but sometimes the lowest-hanging fruit is to expand your horizon 100 yards or a quarter-mile out, and sometimes, any learnings you had for things that had relatively quick, if incremental improvements? Katie Burke: I’ve been talking a lot. Dharmesh Shah: No, it’s on our minds, right? THere’s part of us that wants to focus on one thing, so here’s one thing we sort of know, we have higher odds of making an impact on gender diversity is much more straight-forward than other things that you can try… and so we started there. Okay, we want to build some momentum, we’re new to this thing, we want to get some wins behind us, and it’s still goodness, so let’s try to get that better. Dharmesh Shah: But then, what you don’t want, the mistake would be to say, “Okay, well we did that, alright we’re so much better now, success!” And do a victory lap. And so now we’re like, “Okay. We sort of know the dynamics of the things that work, how can we translate that into other vectors of diversity and inclusion?” And it’s harder, it’s by definition harder, some of those things are tougher problems to tackle, but we’re digging into it. Jason Lemkin: Are there things with new grads and interns and things that you can do to get benefits over the medium and long-term that you weren’t doing before? Any learnings from there? Katie Burke: On the diversity and inclusion front, specifically? So the first thing I would say, the tactical feedback is you have to share the data, you have to publish your data internally and externally. It’s super painful, but sharing where you are is a good indication of where you need to go. Katie Burke: The second thing is you need your entire leadership team clear with if someone asks you what you are doing in terms of commitment for diversity and inclusion, they need to be able to answer that question. They need to answer that question clearly and concisely. Katie Burke: One of the coolest trends we’re seeing is male engineers coming in asking how we’re thinking about gender equality on our engineering team. I think that’s gonna continue to be a trend. Same thing, we have a lot of young grads asking how we support working parents, not because they have any intentionality of having children soon, but because they view it as a leading indicator of how people think about the company. Katie Burke: The other things we’ve done as it relates to campus recruiting specifically is you need to fix the areas where you see noticeable drop-offs. For example, how it relates to gender equality in engineering, we often saw that women were not building web apps on the side. So when they came to talk about their real-life experience in a technical interview, they were disadvantaged compared to their male peers. Katie Burke: We want to fix the problems that exist versus the problems that we imagine. It really helps you fix your funnel if you find out where the leaks are and meaningfully target those. Jason Lemkin: Yeah, one related question, we’re already over but it’s such a great topic. On unconscious bias, one interesting question, when you go back and you look at those 128 slides, I’m guessing there might be one line in 128 that had a hint of unconscious bias, right? Jason Lemkin: How do you take this culture statement and socialize it in the right way to get rid of some of these issues? Any learnings from that? Maybe they were perfect when you crafted it back in the day. Dharmesh Shah: Far from perfect. Jason Lemkin: But maybe the six guys from Sloan, even with a somewhat diverse background, the 128 are different than they are today at some levels. Dharmesh Shah: I’ll give the medium version of this answer. One of the things we learned in the process of publishing the HubSpot Culture Code was, when we had internal, revolt is too strong a word, but resistance. It’s like, “Oh, Dharmesh, you said this in slide … it’s just not true.” Or not true enough. You may think you wanna do that, it’s aspirational, so the first step was instead of taking that slide out, we said, “Okay, we’ll start flagging … tell me all the things that are aspirational that are not quite true yet,” and we will just put it in the deck and say, “Yep, this is where we want to be but we’re not quite there yet, and here we’re working on it.” And the deck goes through a dozen iterations. So that’s part of it is admitting the things you want to be true but are not quite true yet. New Speaker: I know we’re over, just one and a half quick follow-up questions. The 128 pages or whatever you do, how often should you refresh this? Every year? And how much should you engage the whole company in it? Jason Lemkin: This is like the CICD of culture. Release all during the day, all at night? Dharmesh Shah: So the way we think about it, we have this survey that we do that every issue that comes in essentially is a product bug in our culture, there’s something wrong. Right now, you wouldn’t fix every issue that came through, like if a customer reported it. But if you see a pattern, if seven people said this was a problem, either in our culture or the manifestation of the culture and the culture deck, you have to treat it as a bug. Dharmesh Shah: So as product people, we’re like, “Okay, I would never let a be out there for a week or two weeks or whatever.” Culture is the same exact thing essentially. One could argue that, in terms of employee retention, you have to earn the employee base every month, every quarter, every year, and they are much more valuable than any individual customer that you have. Dharmesh Shah: And we obsess over churn as a SAS industry, which we should, churn in the team is actually much more expensive. Jason Lemkin: They are expensive, one last question and I know we’re over, but I’ve thought about … I just love these, these are great learnings for all of us. You talked about culture, talking about it early, but some advice I’ve founded to enough companies, the first time in it was never a founder, never intended to be, and I copied who I knew. We got together, my team of ten, and we wrote our ten values out. I copied them from other companies, I only knew some of them. It was a hodgepodge crew from 8 countries and all different … but I copied someone else. It didn’t quite feel right, and we put it up on our wall, and we never looked at it again. Jason Lemkin: So what I did at my second company, we never did it and we just started chipping code. And so, what do you do in the beginning? How do you get this team together? And it doesn’t have to be day one, but up to 50 employees, what is a thoughtful exercise that is authentic at that scale? How do you drive your team to do something when you’re not ready for the Chief People Officer, and you’re not ready for … perks aren’t really part of the discussion. What do you do? What’s actionable? Jason Lemkin: We value teamwork. Katie Burke: Right, teamwork, and doing great things, and good people. Does anyone know what company doesn’t want people to work together and do pretty good things? It doesn’t actually inform whether a candidate would join you, and it doesn’t inform who you would grow. Katie Burke: And if you can’t do that, or if you think it could be for the yoga studio down the street, or a restaurant, or one of your competitors, which often it can. That’s a problem. You cannot cover that up and say, “Okay, you could go down the street to our competitors and get the same thing.” Your values should uniquely position you in the same way that your value proposition for your customers distinguishes you from your competitors. Your culture has to do the same thing. Katie Burke: And so if your entire culture is motherhood and apple pie, you’re doing it wrong. And as Dharmesh said, it should actually draw some people out. So we give people a ton of autonomy, some people are like, “You know what I wanna do every day? Be told exactly what to do.” And when they read our Culture Code, they are well-aware that Hubspot’s not the place for them, that’s actually how you know it’s working. Dharmesh Shah: One tactical note, so V1 of the Culture Code deck, which was 16 slides, is … we didn’t try to say, “Okay, here’s what our values are.” The thing we tried to figure out, and I’d provide this as advice, is that, imagine there’s a bunch of engineers … imagine that you’re writing a function to try to measure the probability of the success of any given future or current employee in the company. What data would you need in order to establish that function and figure out what the coefficients of the var … like oh, this is really important, this is not that important, here are the patterns that we’re looking for. And then go collect that data, essentially. Dharmesh Shah: So the V1 is not, “Oh, here are lofty vision goals,” it’s like, “Oh, here are the kinds of people that tend to work out well, that we tend to enjoy working with,” and figure that out first. And that’s much easier than coming up with the aspirational, lofty values stuff, is just, figuring out your hiring profile, who do we wanna work with? Who tends to work out? Jason Lemkin: I like it. So I know we’re over, but I love … my many learnings from this is put together what your company’s about. The yoga studio is definitely a risk, when you say that’s a great turn. Then take it to the next level and see if it’s true for your competitor, right? And if it’s true, you haven’t finished the exercise, have you? So I love it. Let’s thank Katie and Dharmesh for this. This was really amazing. Thanks for being here.